There are a number of people who are interested in learning Chinese. This is one of the most practical languages to learn due to China being a major participant in international business. When looking into how to learn Chinese as a beginner, you will want to follow a few steps and go with a certain approach in order to learn it effectively. As a beginner, your knowledge of Chinese may be very minimal and where you may yet to develop the ability to communicate at a basic level. When looking to evaluate your level of knowledge in Chinese, you will want to see if you are below the CEFR B1 level. If so, then you will be considered a beginner at the language. Fortunately for those looking for ways on how to learn Chinese as a beginner, there are plenty of ways to get proficient at the language. I’m a beginner, how do I study Chinese? What should I do first? What parts of the language can wait? What resources and tools are available for me to use? One of the first things that you will need to do when learning Chinese is to put together a system in which you are always keeping track of what you learn. The best way to track what you learn is to use spaced repetition software. This type of software can be installed on devices such as computers and smartphones. 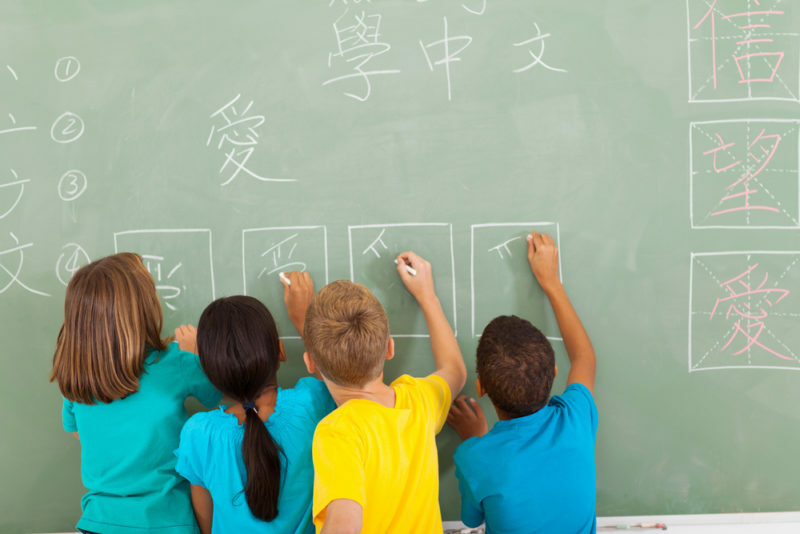 While this may seem like an overwhelming task, learning Chinese will require you to learn new things on a regular basis as well as remembering things that you have learned in the recent past. To stay up to date and more easily remember what you study, you will benefit by using the free software program called Anki. Another software program known as Skritter is ideal if you want to learn how to write in Chinese. If you really want to learn the Chinese language, it will be in your best interest to retain everything you study. While educators won’t test you on everything, it will be essential to comprehend everything that you learn in order to be proficient at the language. Once you have begun to learn Chinese, you will need to keep on moving along with studying the language. While learning the language, it will be important to avoid being perfect the first time learning new words and grammar. As long as you learn 90% of the language content, you will be able to make steady progress. It is important to always move forward with a clear purpose and a goal. The reason why it is vital to avoid perfectionism because it will take up too much time and prevent you from learning more parts of the language that you need to learn. You will be better off learning new things and expanding your knowledge base. While the quality of educational materials such as textbooks may be among the best and while you may have an excellent teacher, you will benefit by learning the language on your own as well. One of the best ways to learn the language of Chinese is to find native speakers either in person or on videos. You will want to consider using a beginner friendly podcast such as ChinesePod. This will help you observe from native speakers and get a better idea on how Chinese is spoken. With this source, you will be in position to learn the language more easily and get used to interacting with Chinese speakers. If you are looking to learn Chinese, it will benefit you to communicate in Chinese as often as you can outside of the classroom. Whenever you are looking to learn Chinese, you will benefit by allying yourself with a fellow student. When studying with someone with the same level of ambition, you will be able to accelerate your learning speed of Chinese. You will also want to seek native speakers who can help you learn the language even more quickly. One way to do this is to find Chinese people online who are interested in learning English. As a learner of Chinese, you can get assistance from them while you help teach them English. Even if you have studied foreign languages before, Chinese is one language that presents you with a number of unique challenges. One of the most important things to keep in mind is to understand that your attitude will affect your learning process. If you begin to believe that Chinese is a weird and inferior language, then you will likely fail to learn it well. In order to avoid this potential situation, it will be necessary to embrace the uniqueness of the Chinese language. Learning Chinese can be done with effort and discipline. However you will need to avoid having a negative attitude if you sincerely want to learn Chinese. With a positive attitude, learning Chinese can be quite easy at times. Before deciding to learn Chinese, you will first need to find out why you want to learn Chinese. Do you have any plans on how you look to use the language in the future? These are a couple of very important things that you will need to determine before studying Chinese. The answer to the two questions will most likely determine your attitude and learning strategy for learning Chinese. It is important to set specific goals on why you want to learn Chinese. Anyone interested in interacting with Chinese individuals in business settings will need to become proficient in conversational Chinese. Those who are interested in teaching Chinese will need to learn all of the grammar, vocabulary and characters of the language. Finding out your specific goals will help you learn the language more effectively. Whenever you plan on learning a language such as Chinese, you will want to enjoy yourself. While this may seem like a tedious statement, it will be vital if you want to learn Chinese on a regular basis. If you are to succeed in learning Chinese, you will need to have fun and enjoy studying the language. Once you are enjoying yourself, you will be more motivated and have a more positive attitude when studying the language. As a result, you will likely master Chinese and become proficient enough at the language to reach your goals.